At Carden Hall we welcome families who seek for their children an exceptional start to a lifetime of learning. By partnering with parents, we create learning and home environments that mirror each other. As you explore the opportunity to become part of the Carden Hall community, we invite you to meet with us and to tour our campus. Carden Hall boasts over 50 years of academic excellence as the perfect preparation to serve students for the next 50 years. 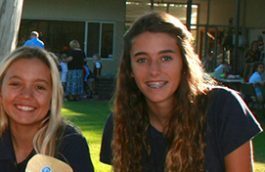 During our application process, we aim to get a snapshot of your child as a student. 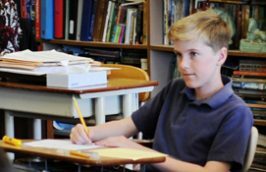 Using a combination of Carden Hall tests, grade level specific standardized tests, and several one-on-one conversations and interactions with our expert teachers, we carefully evaluate each student to ensure readiness and ideal placement. Students applying for Kindergarten must be 5 years old by September 1. Students applying for Pre-Kindergarten must be 4 years old by September 1. The first step in the admissions process is a trip to our campus. 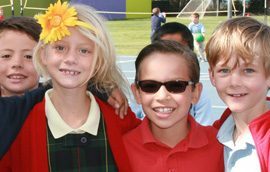 Once on campus you will see an assembly, visit classrooms, and experience first hand all that Carden Hall has to offer. Tours are given by appointment on Mondays and Fridays at 8:30 a.m. Please call the Student Office to RSVP at 949-645-1773. Step two in the admissions process includes submitting an application. This may done online. There is an Application Fee of $200 per application. Once your application has been received, we shall schedule a student assessment. Students are evaluated in a welcoming small group setting by our experienced classroom teachers. Readiness screenings for Pre-Kindergarten and Kindergarten begin in February 2019. The first testing date for students in grades 1 through 6 is Saturday, February 2, 2019. A second testing will be held in the spring, space permitting. Within two weeks of the assessment, the Director of Admissions will call to discuss the results of the evaluation and grade placement. 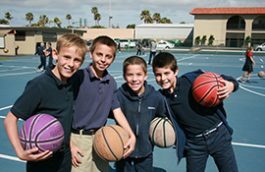 To ensure your child’s success and an easy transition into Carden Hall, students entering grades one through six a required to attend a Summer School program. Please click here for further details.